Home AGRICULTURE OFFICER MANAGER AND OFFICER Wefarm Tanzania Jobs - Country Manager Post. 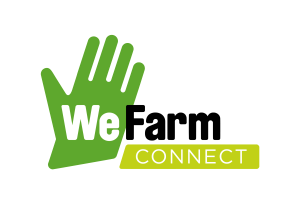 Wefarm Tanzania Jobs - Country Manager Post. You will play a key role in establishing Wefarm in Tanzania, building a strong team and environment for success. The role will oversee all areas of day to day operations in the country, and provide support and leadership to the new team.From establishing our legal presence & setting-up a bank account, to hiring and marketing strategy. Therefore, Wefarm’s Country Manager, Tanzania, will have to be a strategic thinker, effective leader and manager, and passionate about ensuring the successful delivery of Wefarm’s vision and culture, as well as our start-up agility and flexibility. Bringing in-depth knowledge of farming communities and rural populations, as well as international management and operations, the country manager will work directly with the CEO and senior management team of Wefarm. You will be given the opportunity to help us prove our model in a 3rd location, do it faster and better, while using what we have learned so far and tailor it to the Tanzanian context. Set-up and run the day-to-day operations in Tanzania. Ensuring effectiveness and efficiency but also global coordination. Oversee the office management, staff mentoring & management, attendance, bank accounts and financial reporting, etc, – work closely with the CEO and operations team. Support the Head of Brand, Business Development, and Tech/Product (all London based) to work effectively in Tanzania and be as impactful as possible for the farmers. Help build a key place for Wefarm within the Tanzanian ecosystem, including with government and other key startup and farming organisations. Experience in building strong relationships with senior executives, partners, media outlets, mobile networks, etc. You are given $1,000 USD to sign-up as many farmers as possible in a week in Tanzania. What would you do? (note, we will review and interview on an ongoing basis). Unfortunately we will only be able to respond to shortlisted candidates.